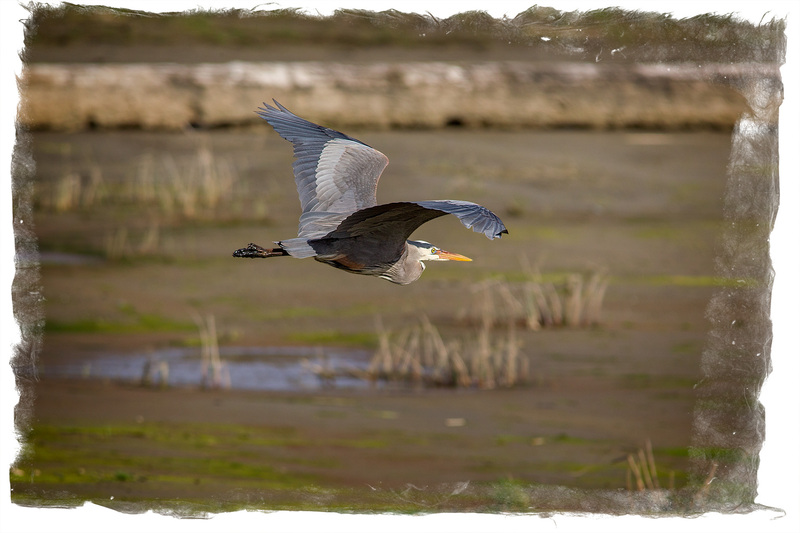 Despite having a “hard-drive full” of Great Blue Heron shots, I keep taking new shots of them. For one thing, they can be counted on. When Leslie and I took Lael and Mira to Theler Friday evening the wind was so fierce all but a few gulls were hunkered down, trying to stay out of the wind. 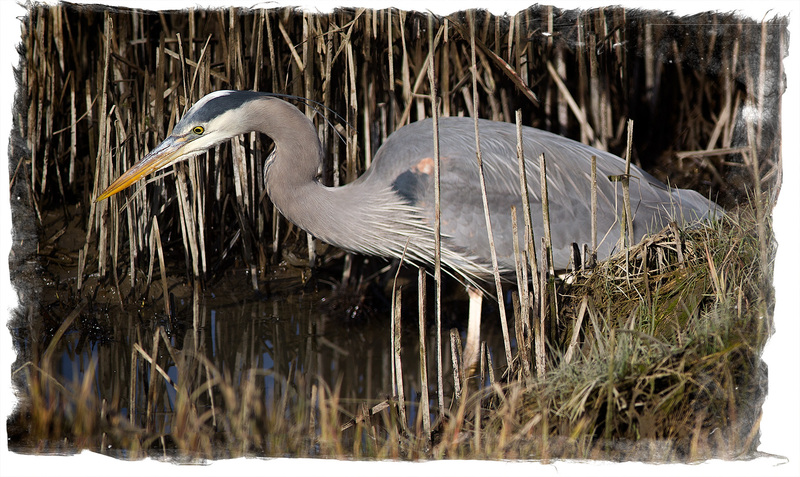 Half way through the walk, though, a heron took off a few feet from us and flew across the wetlands. 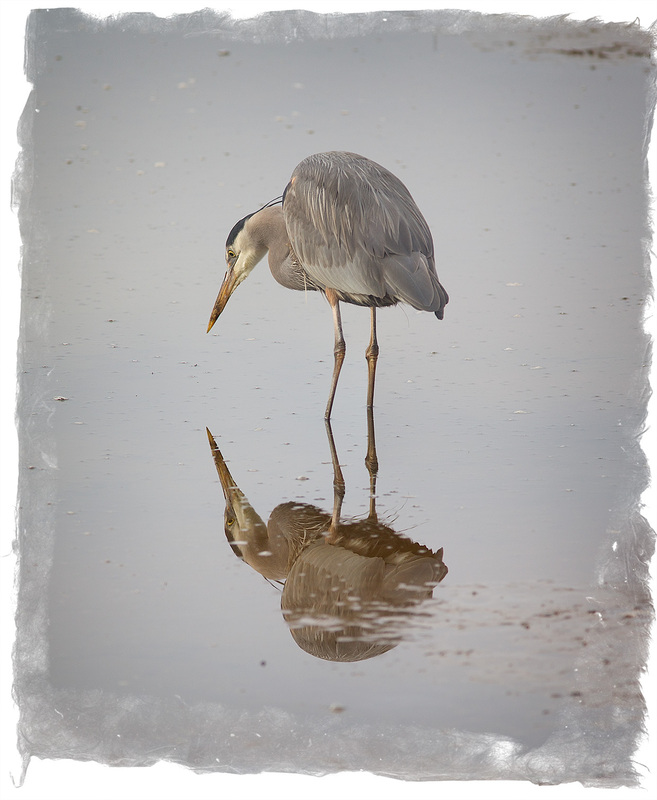 On another recent visit when birding was also slow, this heron was so close that I had to photomerge the bird and its reflection. In the end, I kept it because I liked the mono-chromatic colors. This shot also had to be photomerged; the head and tail are two separate shots. is carrying a lethal weapon like this. I’m just glad I’m not what it is hunting. 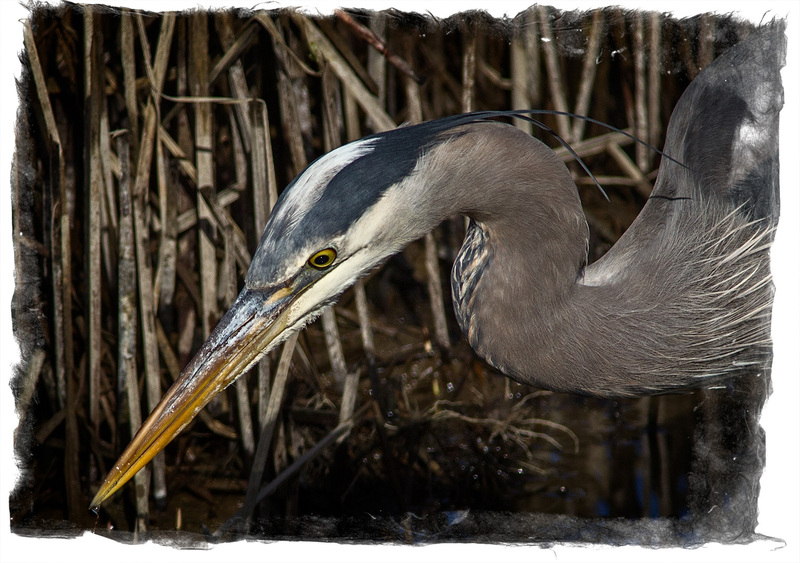 I’d like to promise that this is the last Great Blue Heron shot I’ll ever post, but that’s probably not true. I’m always thinking my next shot will be my best shot ever, and even when it’s not I’m thinking it’s better than a blank page. I’d rather that you promise to take many more. These are stunning photos of one of my favorite birds. That’s because you’re spoiled by seeing Great Egrets so much, as I remember it, Dan. Please do take more. I don’t know what it is about GBH’s, but I love them. Such magnificent birds.